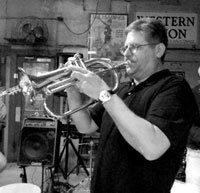 The Yuma Jazz Company, with guest trumpeter Bryan Stewart, will perform during the Trumpet Summit at Lutes Casino, 221 S. Main St., from 7 to 9 p.m. May 15. The event will feature area trumpet standouts Steven Hennig and Bryan Stewart. 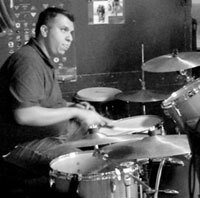 The two, who enjoy a friendly and competitive playing relationship, will perform with group regulars Carl Posch on guitar and Brandon Coz on drums. Tab Wilcox will be the guest bass player, sitting in for Jon Knudtson. There will be no cover charge, and all ages are welcome. Stewart has been playing the trumpet for 40 years and has enjoyed musically jousting with Hennig as they have played together over the past five years. "We get to have trumpet duels, and it is fun to interact with each other and go back and forth," said Stewart. Hennig said playing at Lutes has become a kind of tradition for his group. "Every year the jazz company plays a few dates there, and it is special when you bring someone new in. That is the nature of jazz because when you bring in a fresh perspective, especially when they are an excellent player, it changes the whole sound." Stewart was a standout musician throughout his early days in junior and senior high school. He attended both the Stan Kenton Jazz Clinic and Arrowbear Music Camp to supplement his work in school. After high school, he attended Long Beach State University, San Diego State University, Imperial Valley College and Arizona Western College. 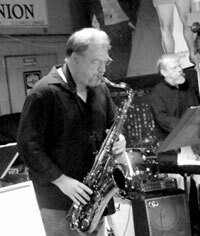 Stewart has played jazz trumpet in the Yuma area for many years. Currently, he can be heard with El Centro's popular jazz funk group Standing Room Only. 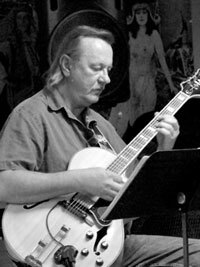 Hennig is the founder of Yuma Jazz Company, performing locally on a regular basis with that group. He is also a composer, having written the music for two YJC albums, and writes and performs classical music as well. According to Hennig, the two trumpeters have performed together several times in this fashion over the past few years, and those occasions are always well received. 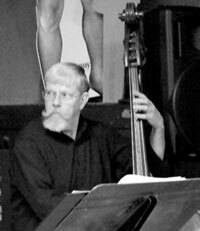 This Yuma Jazz Company performance will feature several jazz styles along with some well-known favorites. Lutes Casino, known as the oldest pool hall in Arizona, is a favorite local eatery and has a great casual atmosphere for live music, said Hennig. Patrons can order from the historic restaurant’s entire menu throughout the event. For event information, call Lutes at 782-2192 or log on to www.yumajazz.com.